At least, sort of. 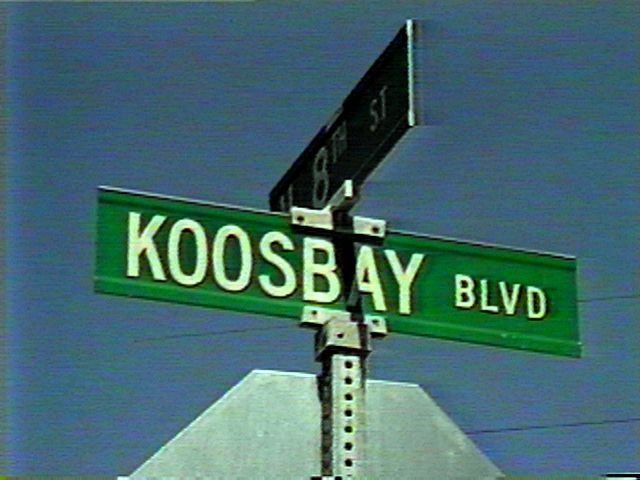 Coos Bay in Oregon USA was originally named "Koos' Bay" and this is a picture of a street sign near that bay. Zo ongeveer. Coos Bay in Oregon USA heette origineel "Koos' Bay" en dit is een foto van een straatnaambord in de buurt van die baai.